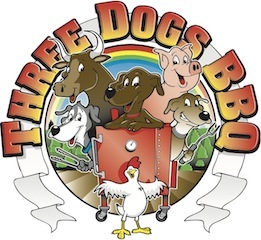 Three Dogs BBQ: Baby Back Ribs, the Way We Like Them! All of you people that compete know what I am talking about. 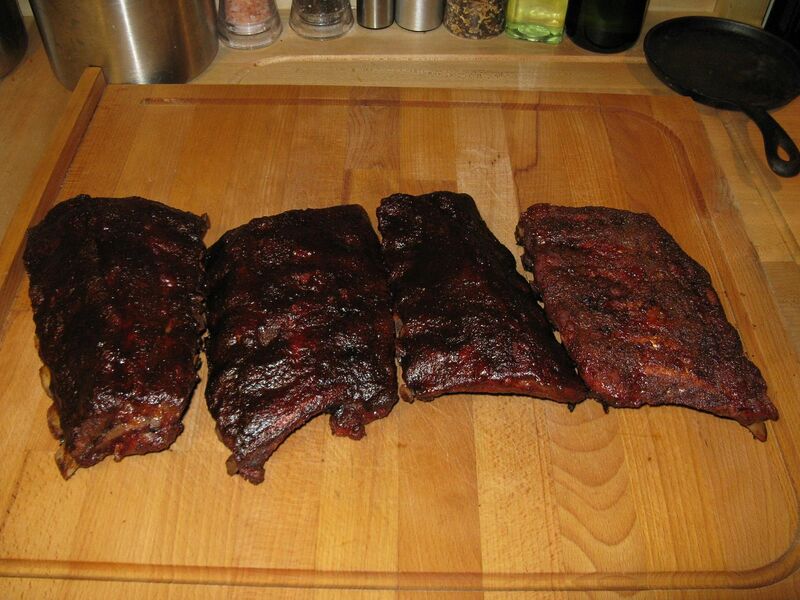 Any rib that you make for a competition is not how you make them at home. Who would take the time to foil with mysterious liquids that add flavor and butter (gasp) that help tenderize the meat and add rich flavor. Not I. We like a basic rib around here. We also like baby backs over spare ribs. Our butcher sells a nice meaty baby back. So, we feel that we do not loose anything by using back backs versus a spare rib. So, how do we make them? Very simple. First, we take our baby backs and remove the membrane from the back. Then, we coat each side with simple yellow mustard and rub. We like Oakridge Secret Weapon Pork and Chicken rub. While the ribs are sitting, I bring the smoker to 250 F and add some hickory and apple chunks to the ash pan for our flavoring smoke. The ribs go on the top rack, then I close the door and walk away for 3 and a half hours. In the last 30 minutes, I very lightly sauce the ribs with our sauce of choice. Since I am on a consolidation kick in the refrigerator, I used the last of our J. Wilbur Spicy Hickory for this cook. Once the ribs have been sauced, I close the door and walk away for 30 minutes. Then, we remove the ribs, let rest for 10 minutes, then slice. 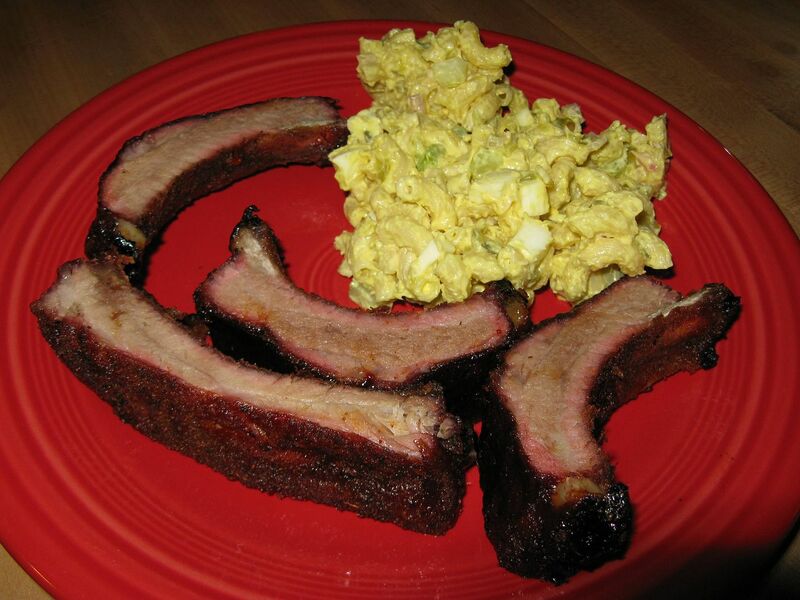 We served these racks with a side of homemade macaroni salad. 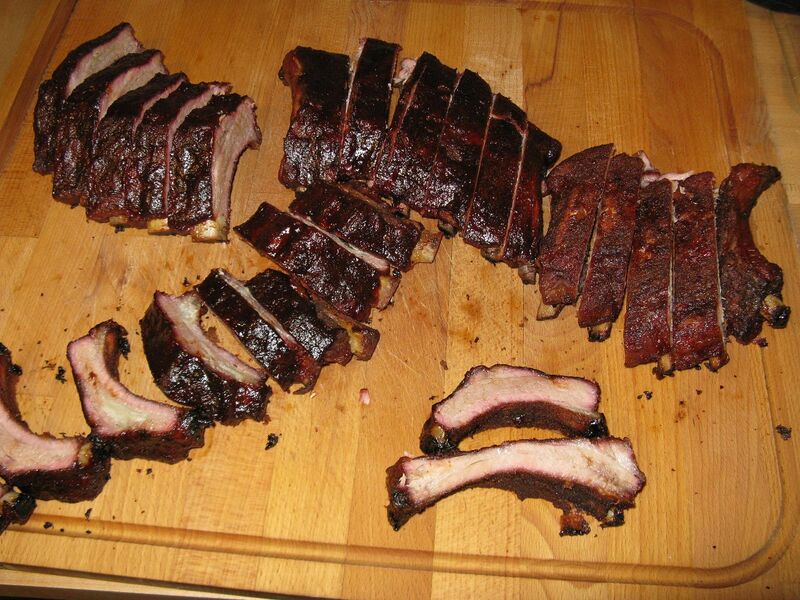 What is the difference between these ribs and a rib for competition? Well, competition ribs can be very sweet. You are trying to impress a judge with one bite. So, you have to load it up with flavor and usually flavor = sweet. Sure, one overly sweet and candied rib is fine. 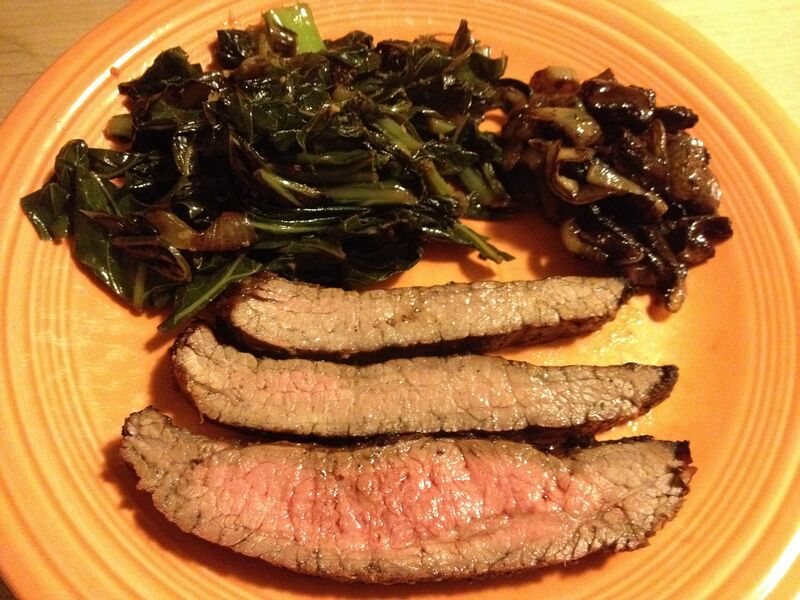 But, you would not sit down and eat a whole rack of these for dinner. At least I couldn't. 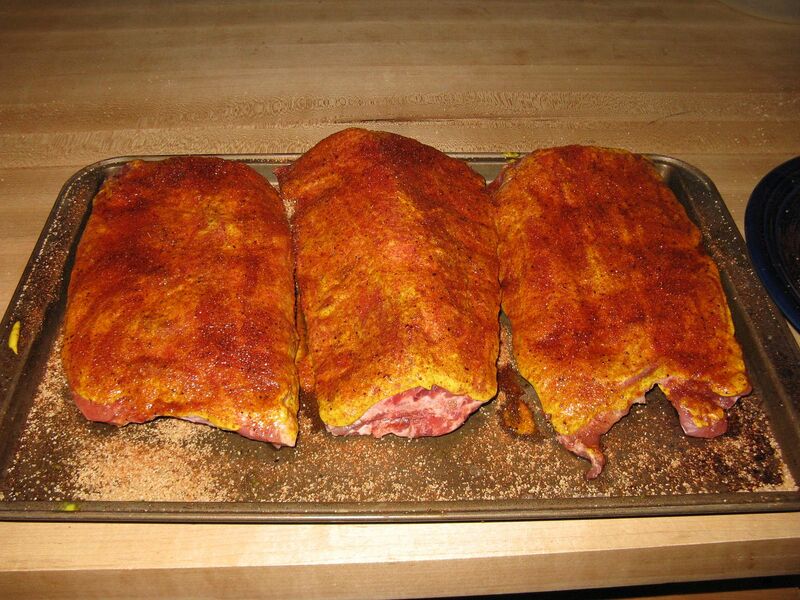 Our ribs for home have a nice sweet heat with a thin layer of sauce. Don't fret if you don't have a smoker. You can make these in the oven. You just won't have the smoky flavor that the smoking wood imparts to the meat. 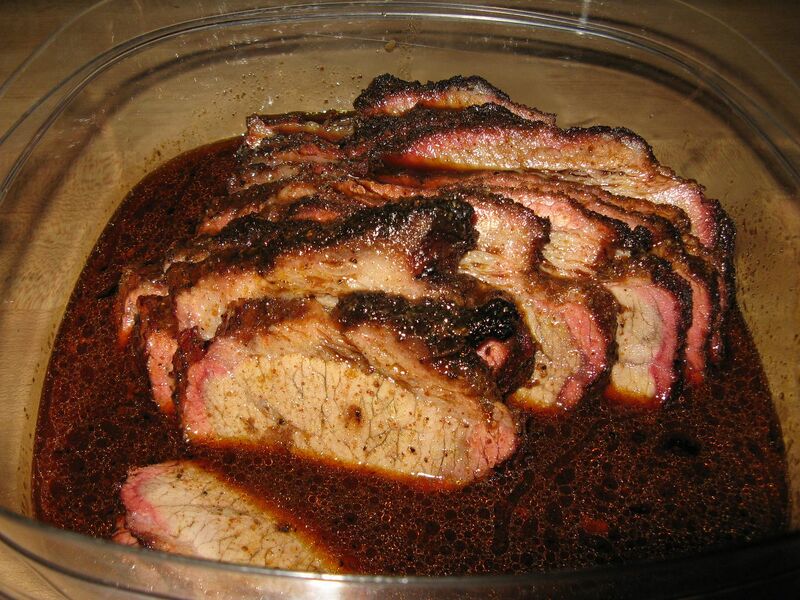 By adding about 1/2 tsp of Liquid Smoke to your BBQ sauce will help add some smoke flavor. Give them a try. You won't be sorry. Looking great Brother!!! Perfectly done!!! And I love the macaroni salad for the side!! Rueben, how have you been stranger? It has been far too long. Glad you like the ribs. We are on a mission to improve our ribs this year. I was surprised on your preference for baby backs. Our butcher supplies very nice baby backs. Sometimes they are meatier than spares. Maybe I just like the baby backs better because I think we do better with them. I am going to start some practice with spares. Stay tuned.